Tonight's the night: Sony Santa Monica and Sony Interactive Entertainment’s epic reimagining of the intense action/adventure series, God of War, was honored with the prize for Game of the Year at tonight’s 19th annual Game Developers Choice Awards ceremony during GDC 2019! 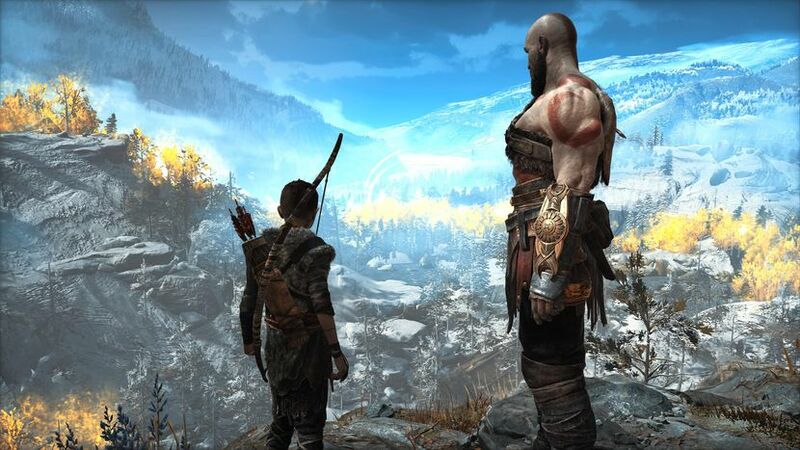 God of War earned accolades for its mature narrative, dazzling visuals and refined combat gameplay. An archive of the award ceremony, as well as the full presentation of the Independent Games Festival Awards, can be viewed on the official GDC Twitch channel. Florence, the sincere and emotional game exploring young love, also earned developer Mountains two awards tonight, for Best Debut and Best Mobile Game. The game uses clever interactive story elements to sew together various scenes of the birth, maturation and denouement of a love story. Developer Beat Games also took home two awards for its game Beat Saber, for Best VR/AR Game and the Audience Award. Beat Saber is a compelling and active VR rhythm game in which players use motion controllers to slice blocks to the sweat-inducing syncopations of music. The full slate of winners of the 2019 GDCAs also includes Best Technology winner Red Dead Redemption 2 by Rockstar Games, which presents a meticulously realized open-world environment of the waning days of the Wild West. Lucas Pope’s 3909 won Best Narrative for The Return of Obra Dinn, for the game’s exploration of a series of mysterious murders set aboard the namesake ghostship. 2018 IGF Award winner, Celeste, by developer Matt Makes Games, returned to the awards podium with their win for Best Audio, cementing the inspiring platformer’s reputation for its musical presentation. The stunning platform-adventure game, Gris by Nomada Studio, earned the award for Best Visuals for its colorful artistic flourishes. The Award for Best Design went to Into the Breach developed by Subset Games, a strategy title whose minimalist pixel art aesthetic belies the deep tactical and engaging gameplay that has earned it countless fans. Nintendo’s Labo won the Innovation Award, honoring the revered Japanese publisher for its (literally) out-of-the-box title, which allows users to combine the versatile Switch hardware with self-constructed interactive toys and games made from cardboard. The Game Developers Choice Awards honor the very best games of the year, and was created for and voted on by developers. Winners are selected by the Game Developers Choice Awards-specific International Choice Awards Network (ICAN), which is an invitation-only organization, comprised of leading game creators from all parts of the industry. In addition to the best games of the last year, the GDCAs also honor the dedicated individuals who have helped further the art, science and craft of video games with special awards. This year’s Pioneer Award, which recognizes breakthrough tech and game design milestones, went to veteran game developer Rieko Kodama, recognizing her for her trailblazing and continuing legacy in game design, which spans more than three decades of work on some of the most beloved titles in SEGA’s classic games library, from Phantasy Star through Alex Kidd to Skies of Arcadia and beyond. The Lifetime Achievement Award was given to esteemed writer and director Amy Hennig, whose decades-long career in game development began in the Atari 7800 era and includes roles as creative director and writer of Naughty Dog’s acclaimed Uncharted game series. The award recognizes Hennig’s varied career, with professional experience as a digital artist, animator, game designer and especially in the last two decades, as a writer and director of acclaimed adventure titles with strong narrative and character elements.